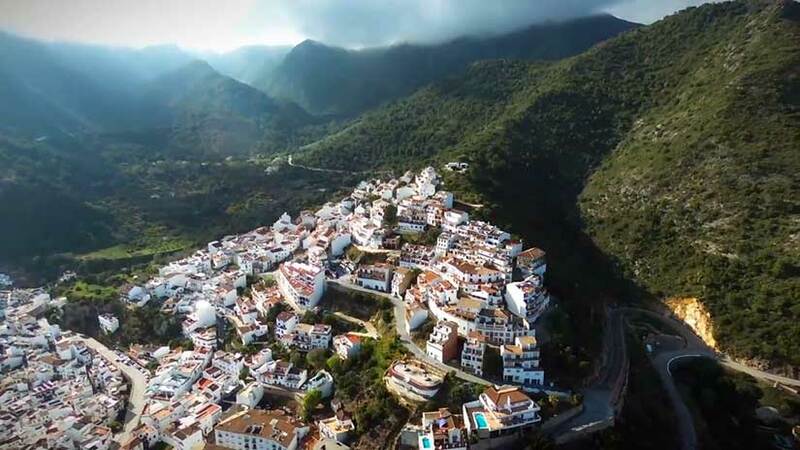 Its municipal area lies between the Sierra Alpujata and the Sierra Blanca (behind Marbella), its highlight being El Juanar Valley, an area of immense natural beauty. The village itself, surrounded by orchards, still retains its original Arabic layout, with houses built on different levels to accomodate the mountainside on which they stand, and is considered to be one of the most beautiful in the province. Relics of its past include the remains of Solis Castle and the Mudejar-style Our Lady’s Church. Records tell us that in front of the village walls -now gone- Abderraman III’s troops fought with the muladíes (Christian converts to Islam) led by Omar Ben Hafsun in rebellion against the dominance of the Emirate of Cordoba. Having defeated the muladíes, Caliph Abderraman III ordered the building of a mosque as proof of Moslem supremacy over Christian converts. Following the village’s capture by the Catholic Monarchs, one hundred moriscos (Moslem converts to Christianity) and four Christians remained, all of whom were devoted to agricultural tasks. However, by the mid 16th century, the moriscos had grown tired of the abusive taxes which they were obliged to pay, and, encouraged by the inhabitants of Istan, set fire to the village and its church and fled to the Alpujarra region. By the end of the same century, the village was practically abandoned. In 1807, it was declared an independent village by Charles IV.